Cake Obsessions is owned by Erica De La Fé, a self-taught cake artist who truly loves the art of baking! It’s a passion she’s carried throughout her life. As a young child Erica began baking with her mother. She became the appointed desserts person at family gatherings and gained much experience through cooking for friends and family. More often than not, her friends became taste-testers in her countless experiments with new recipes. It was Erica’s dream after high school to train herself in the art of Australian cake decoration and event catering. However, circumstances led her to pursue a BA in Business Administration and eventually earned her accounting degree. That drive is what pushed her to follow her passion for cakes and thus the concept of Cake Obsessions was born. “My wedding cake was not exactly how I envisioned it”, says Erica. 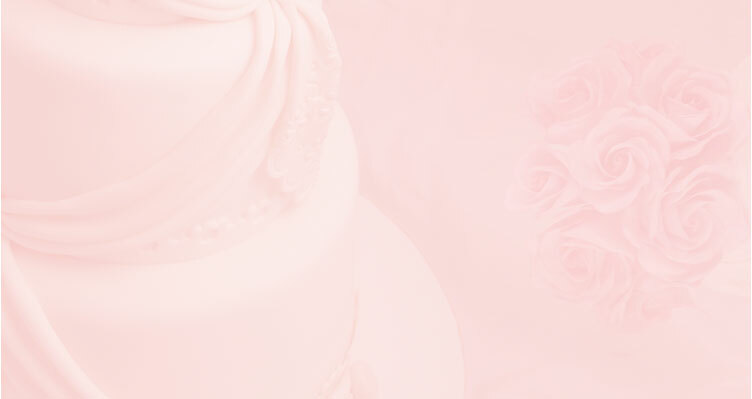 “I would like to give brides the cake they have always dreamed of for their special day”. A few years later she took a basic cake decorating course and focused on the technique of fondant decoration. This is something Erica grew to love. Since then she has had the opportunity to learn other forms of sugar decoration from some of the best cake artists in New York through other workshops and classes. Almost two years after taking her first class, she continues to improve her skills with practice and careful attention to detail.